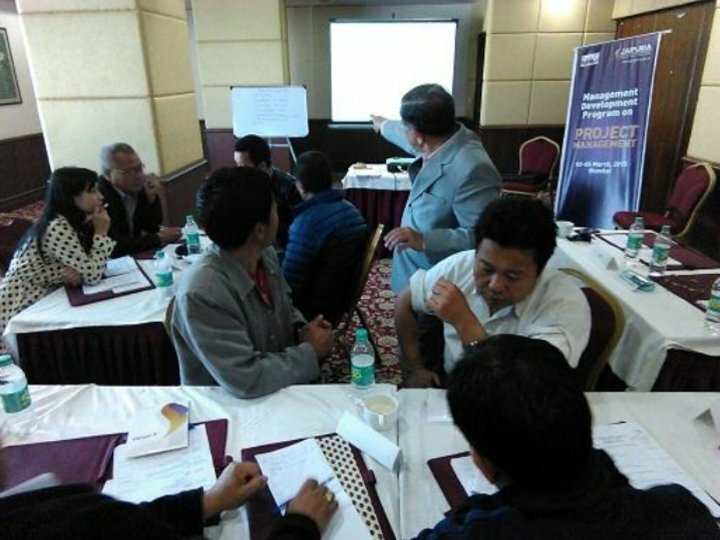 JAIPURIA INSTITUTE OF MANAGEMENT, Jaipur conducted the four days academic session on “Project Management” in collaboration with IMS Bhutan which was attended by senior officials who were dealing with construction of Monasteries and Fort (administrative buildings). They also dealt with construction of dwelling rooms for monks who were residing in the buildings. 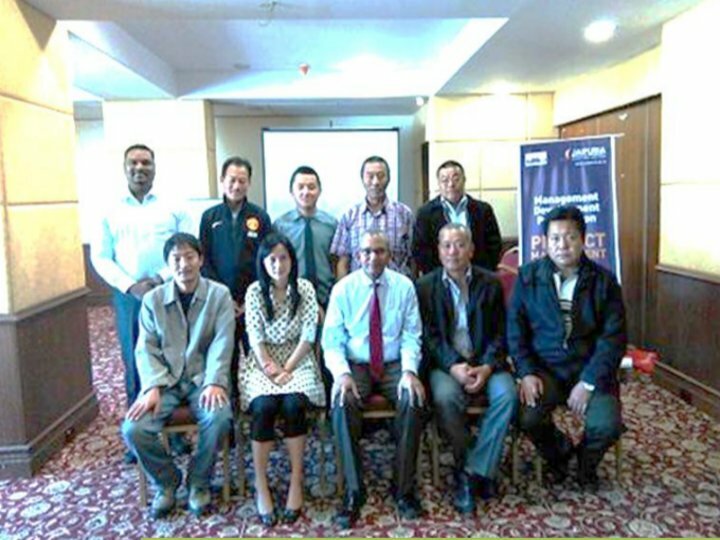 There were eight delegates from the field of civil engineering and Information Technology who were directly involved in the project as project champions. Prof. M S Kumar is the Sr. Professor & Area Chair at Jaipuria Institute of Management, Noida. He teaches Strategy, Operations Mgmt. &HRM in the PGDM Courses offered by the Institute. He came into teaching after 36 years of corporate experience in Industry. Prof Kumar brings with him a basket of industry experience spanning over three and a half decades of working in Indian Oil Corporation (IOC from1966- 2003) which encompasses a broad spectrum of functional areas such as: Operations & Maintenance of Oil Refineries , Design, Engineering & Technical Services Materials Planning, Procurement & Inventory Mgmt. , Projects Engineering, Procurement & construction Mgmt., Safety ,Health & Environment Mgmt. QMS ( ISO 9001 ) & EMS ( ISO 14001 ), Human Resource Management ,Management of Corporate Training Institutes of IOC and much more. Mr. Balwant Joshi possess 30 years of industrial experience in auto sector including Mahindra & Mahindra Ltd in areas of Manufacturing, Vendor development, Quality and Projects. B.E.Mech (S.P.College Mumbai), D.I.M. Chetana Institute of Management).He is currently Visiting faculty at MNIMS Vile Parle, Thakur Management Institute Kandivali and Project guide for students of Warwick University U.K. in collaboration with CII for their program of M.Sc. Engineering and Management. The four days of program was a combination of lectures and case studies relating to project management. The first day started off with a warm welcome and a brief presentation of MDP department by Mr. Amit Mohapatra (AGM- MDP). Day 1 (2-03-15) Session 1 was conducted by Prof. M S Kumar on topic “Distinctive Features of Heritage Conservation Projects‟. The participants introduced themselves and also shared their expectation from the program. Prof. Kumar explained the existing challenges and the overall program overview. Day 1 (2-03-15) Session 2 was conducted by Prof. M S Kumar on topic like “Integrated Systems Approach to Project Management‟. He discussed what are project life cycle, project organization structure & culture, role and responsibilities of a project manager, qualities of an effective project manager, core traits & skills of Project Manager, Managing vs. Leading the project team and ethical behavior aspects of project management. Day 1 (2-03-15) Session 3 was group exercises conducted by Prof. M S Kumar on topic like “Project Planning‟. The participants performed the activities and exercise with full zest and enthusiasm. Day 2 (3-03-15) Session 1 was conducted by Prof. M S Kumar on topic like “Project Appraisal Techniques‟. He discussed what is material planning, procurement and warehousing for projects. Day 2 (3-03-15) Session 2 was conducted by Prof. M S Kumar on topic like “Tools & Techniques used in Project Management‟. He discussed what is break down structures, developing and analyzing activity network,critical path method, identifying slack & scope for crashing, Time/cost/Scope trade-offs in projects, program evaluation & review techniques and concept of critical chain project Management. Day 2 (3-03-15) Session 2 was conducted by Prof. M S Kumar on topic like “Tools & Techniques used in Project Management‟. He discussed what is break down structures, developing and analyzing activity network, critical path method, identifying slack & scope for crashing, Time/cost/Scope Trade offs in projects, program evaluation & review techniques and concept of critical chain project Management. Day 2 (3-03-15) Session 3 was conducted by Prof. M S Kumar on topic like “Managing Project Team‟. He discussed case study on Kalptaru project team. Day 3 (4-03-15) Session 1 was conducted by Mr. Balwant Joshi on topic like “Financial Appraisal & Preparation of Feasibility Report‟. He discussed project risk management in brief. Day 3 (4-03-15) Session 2 was conducted by Mr. Balwant Joshi. He discussed topics like Contract Management, dispute settlement mechanism, arbitration and project audits. Day 3 (4-03-15) Session 3 was conducted by Mr. Balwant Joshi. He discussed topics like Construction Management, project salary and security management. Day 4 (5-03-15) Session 1 was conducted by Mr. Balwant Joshi on topic “Software tools for project Monitoring & Control‟.